In a Nutshell: A full two centuries ago, nine of Montreal’s most prosperous merchants came together to build Canada’s first bank. Today, the Bank of Montreal (BMO) continues to be one of North America’s largest banks, servicing millions of clients around the world. Based on its entrepreneurial legacy, decades of real experience, and comprehensive offerings, BMO has earned our Editors’ Choice™ Award for its high-net-worth Family Wealth Management services. Regardless of your level of wealth, BMO’s experts can help you build and protect your family’s finances, plan for important family goals, and prepare to tackle any of life’s transitions with efficiency and aplomb. In the early days of 1817, a group of nine men gathered in what was then the small town of Montreal, in the young British colony of Canada. 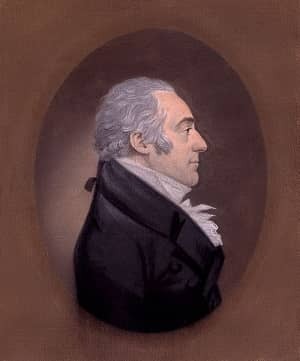 Led by Scots-Quebecer businessman John Richardson, the group represented many of the town’s most prosperous businessmen and its diverse commerce, including the burgeoning flour industry and ever-booming fur trade. John Richardson, one of the Co-Founders of the Bank of Montreal, was a Scottish immigrant and successful merchant. To lend a hand with the establishment and growth of the economic foundation of their new home, the group of merchants decided to quite literally bank on the future prosperity of Canada. Together, they signed the Articles of Association that officially formed Canada’s first bank, the aptly named Bank of Montreal. Over the next two centuries, the Bank of Montreal contributed heavily not only to Canada’s economic development, but also helped establish the nation’s infant transportation and communication industries by financing Canada’s fledgling railway systems and funding its first telegraph service. Now, in 2017, BMO celebrates an extraordinary 200 years of banking. The long-lived organization, which has been a constant presence as Canada transformed from colony, to province, to a country in its own right, still reigns today as one of the 10 largest banks in North America, with nearly 1,500 branches across the continent and millions of customers around the world. 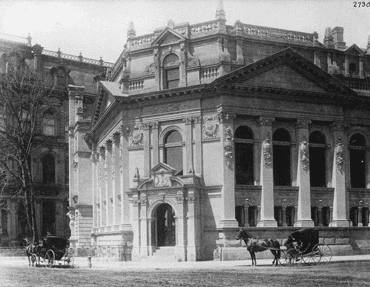 The first Bank of Montreal was established in the growing town of Montreal when Canada was still a colony. True to the future-thinking spirit of its pioneering founders, BMO’s modern-day leadership keeps the focus on continuously making the organization a better business, both for the bank and for its clients. At BMO, that means forming lasting relationships with every client, constantly adapting to the changing landscape, and keeping the vision of its founders alive. BMO applies this dedication to every facet of its organization, earning them an array of awards and recognition. 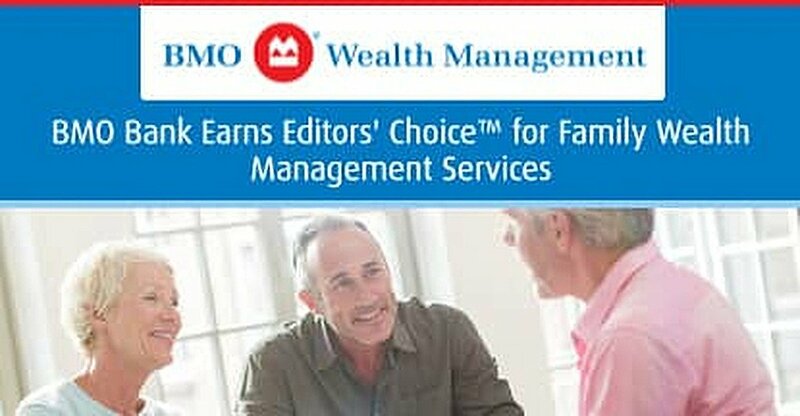 And now, adding to its omnibus of praise, BMO’s renowned insight and unique perspective have earned Canada’s oldest bank our Editors’ Choice™ Award for its high-net-worth Family Wealth Management Services, which helps families grow and safeguard their wealth — for now, and for the future. With two centuries of experience under its belt, BMO has had plenty of time to discover consumers’ needs and develop a vast selection of products and services designed just for them. Indeed, BMO can help just about any family better manage, invest, and protect their finances, regardless of their level of wealth. Indeed, no matter what stage of life you and your family are at, BMO can help you make the most of your wealth. From developing a wealth plan based on your family’s personal dreams and objectives, to helping you transition your wealth to the next generations, BMO Wealth Management can make it simple to get, and keep, your family’s finances on track. The first step of any financial journey with BMO’s Wealth Management services, of course, starts simply by making contact, whether by phone, online, or by heading into the nearest office. Then the conversation — and the relationship — begins. Balancing your family’s specific objectives with a thorough assessment of the markets and economy, BMO’s advisors will help you develop a customized plan. By taking account of potential market volatility and other real-world factors, your new financial plan will be more able to adapt to — and survive — the inevitable changes that come with life. At the heart of any well-developed wealth plan should be a solid strategy for growth, as stagnant finances can quickly disappear. Your growth strategies also need to be as dynamic as the markets they’re based upon, able to adapt to changes both economic and life changes. To accomplish this, BMO’s advisors don’t simply help you create a plan — they help you maintain that plan so you can continue to grow your family’s wealth. Posssessing a diverse range of expertise under its umbrella, BMO Wealth Management can accommodate and integrate different solutions for nearly any financial situation a client may encounter. At the same time, advisors are cognizant of existing relationships and work to maintain the history clients build with the individuals with whom they work. As clients grow, BMO works to grow with them. No matter your level of wealth, it’s important to understand and follow safeguards for protecting that wealth, whether for your future or for future generations. At BMO Wealth Management, preserving your assets includes everything from tax and estate planning to comprehensive investment strategies, all designed to protect what you’ve built. Among the handful of things guaranteed to each of us in life is the promise that we will undergo many changes. We all endure many transitions and, as with most things, those transitions can be made significantly more endurable with the right preparation. The same is true of financial transitions. Whether it’s the personal and financial adjustments that come hand-in-hand with retirement, or the intricate process of establishing a lasting family legacy for the next generations, you need a plan to tackle important financial transitions. BMO’s experts can help plan and prepare for life’s expected — and unexpected — transitions, helping your family reach the next stage of life. This includes helping your family get on the same page, right from the start, to avoid hurdles that can make a difficult transition even harder. When John Richardson and his compatriots came together in 1817 to form the Bank of Montreal, they likely had every intention their new organization would be part of the foundation of the growing city. But even they probably couldn’t have foreseen the two centuries of influence and prosperity their new bank has maintained — or the promise of two more centuries to come. Either way, BMO has become a cornerstone of North American finance, helping millions safeguard and grow their money. And BMO’s dedication to its clients, legacy of service, and extensive experience has earned Canada’s first bank our Editors’ Choice™ Award for its high-net-worth Family Wealth Management Services.